John Sayles, considered to be one of the godfathers of the US Independent Film Movement, and his creative partner and producer, Maggie Renzi, will be in Bend to help us launch our “First Features” program this October. “First Features” showcases renowned independent filmmakers, screening the first films that catapulted their careers. Beloved for films like MATEWAN, EIGHT MEN OUT, CITY OF HOPE, PASSION FISH, LONESTAR and GO FOR SISTERS, the duo have worked together since 1978. For the “First Features” inaugural year, John and Maggie will present THE RETURN OF THE SECAUCUS SEVEN (1979), John’s directorial debut and the beginning of their collaboration. John wrote and edited the film, and Maggie is featured in a starring role and served as the film’s Unit Production Manager, Location Manager, and Assistant Editor. After the screening, Maggie and John will participate in an onstage conversation about the film’s production, their almost 40-year collaboration, and how independent filmmaking has changed from 1979 to today. John will also moderate the festival’s “First Features” panel, leading a conversation with several narrative feature filmmakers also screening their first feature at this year’s festival. Renowned independent filmmakers will join us each year for the BendFilm Festival to screen their first feature film and discuss how they were able to capitalize on that film’s success to establish their subsequent careers. The BendFilm Festival strives to discover new filmmaking talent. We program several feature films each year by first-time filmmakers who display mature and original filmmaking technique and ability. These filmmakers are navigating a very crowded field of new and experienced filmmakers. They now have a much harder time establishing filmmaking careers in comparison to the celebrated independent filmmakers who came to prominence before the digital age. In addition to her work with Sayles, Renzi also produced Karyn Kusama’s GIRLFIGHT and is Executive Producer with Sayles on Alejandro Springall’s movie MORIRSE ESTA EN HEBREU / MY MEXICAN SHIVAH. Renzi and Sayles also produced and directed three music videos for Bruce Springsteen: BORN IN THE USA, I’M ON FIRE, and GLORY DAYS. Twice nominated for an Academy Award for Best Original Screenplay, Sayles remains a sought after screenwriter, most recently working on the writing team for the TNT event series THE ALIENIST. Sayles has been honored by the National Association for the Advancement of Colored People (NAACP), Writers Guild of America (WGA), Modern Language Association (MLA), American Studies Association (ASA), and American Historical Association (AHA) for his authentic depiction of history and community. “As a film made in Eugene by Eugene filmmakers, we’re thrilled for Tracktown to be the first feature announced for this year’s festival,” said Erik Jambor as he returns to BendFilm as this year’s Festival Programmer. 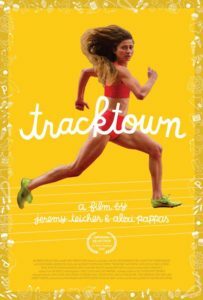 Tracktown, written and directed by Jeremy Teicher and Alexi Pappas, will be shown as a part of the 13th Annual BendFilm Festival, set for Oct. 6-9, 2016. Tracktown’s co-director and lead actress Pappas, the real-life long distance track star and 2016 Olympic competitor, plays the role of Plumb Marigold, a famous but lonely distance runner preparing for the biggest race of her life: The Olympic Trials. When an injury forces her to take an unexpected day off, Plumb wanders into a bakery where the aimless boy behind the counter catches her eye. Alexi Pappas makes her feature film debut alongside a cast of Olympic athletes and beloved actors like Rachel Dratch (SNL) and Andy Buckley (The Office). As you tune in to the 2016 Olympic Games in Rio de Janeiro, Brazil, be sure to watch for Alexi as she competes for Greece in the 10,000-meter run on August 12 at 11:10am PDT. Check back here for updates on Alexi’s Olympic races. “Alexi’s participation is a centerpiece of this year’s Celebration of Women Filmmakers, and we’re excited to have her and Jeremy coming to Bend to screen the film at the festival,” said BendFilm Festival Programmer Erik Jambor. In addition to running and filmmaking, Alexi is also the Portland Chapter Leader of Film Fatales. You may remember Film Fatales as the organized founded by BendFilm 2015 juror Leah Meyerhoff. It is a network of women filmmakers who meet regularly to mentor each other, share resources, collaborate on projects and build a supportive community in which to make their films. Join us, August 15th, for a starlit screening of 8 short films created by local filmmakers in under 72-hours, all with the theme: LET GO. Earlier this year, we announced Erik Jambor’s return to BendFilm as our Festival Programmer for the 13th Annual BendFilm Festival. In addition to his previous BendFilm role, Erik has run and programmed independent film festivals including his role as cofounder of the Sidewalk Moving Picture Festival in Birmingham Alabama. Most recently he served as Executive Director of Indie Memphis in Memphis, Tennessee from 2008 through early 2015, where he programmed the annual Indie Memphis Film Festival. We caught up with Erik as we move ever closer to our 13th Annual BendFilm Festival, October 6-9th. Erik was kind enough to give us perspective on film festival programming and a sneak peek into this year’s festival. Having participated and planned multiple festivals, what sets BendFilm apart? The town itself! 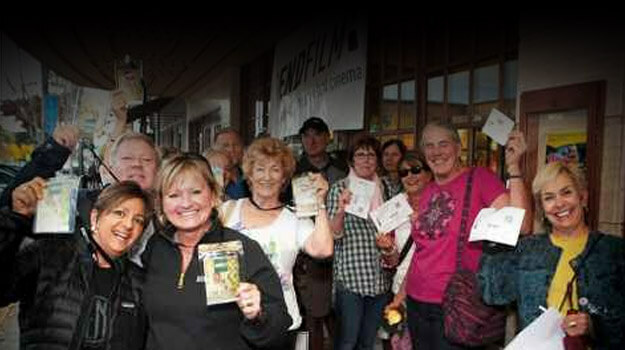 Bend is such a fun place to visit — and with the festival venues sprinkled throughout downtown, the Old Mill district and Westside Bend, out-of-town attendees can really get a good taste of what Bend is all about. It sometimes seems like almost every city in the country has a film festival, so the ones that can take advantage of the city they’re in are at a huge advantage. What is energizing you about the indie film and filmmaker community, right now? Technology has made it easier for more people to make movies, which has allowed so many more voices to be heard and, in turn, has given us so much more content to consider. It is especially exciting to see films by first time filmmakers, which is a focus this year with the launch of our new First Features program. Eight of our ten competition features are directed or co-directed by filmmakers making their directorial debut, not to mention indie filmmaking icon John Sayles who will be here with HIS first feature, RETURN OF THE SECAUCUS SEVEN from 1979. What are some of the themes emerging from this year’s festival entries? We’re seeing a lot of coming of age films, and stories about first love — there are a good number of films with a paranoid / conspiracy angle too. We also have some really exciting outdoor films that we’ll be announcing as part of the documentary competition. 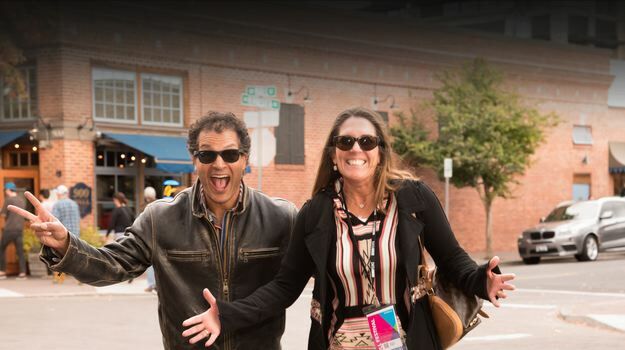 What can the first time BendFilm attendee expect from this year’s festival? It is a really fun experience — I like to compare it to a music festival, where your pass let’s you explore the lineup and see what you want to see. The big difference is that the filmmakers are as much a part of the experience as the audience. When you see a film, the filmmaker will usually be there to answer questions — and they’re here for the whole festival, so you will run into them in line for other films — or just waiting in line for coffee. What do you think will surprise (and delight) long-time festival attendees? Thanks Erik! We look forward to a great festival, the opportunity to meet new filmmakers and of course, we can’t wait to discover what other surprises are in store for our 13th event!